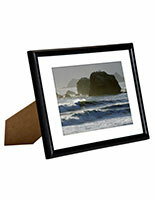 This 8x10 matted photo frame is a great addition to any home or business photograph collection. 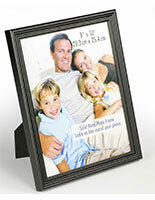 The display features a rear loading door that makes insert-changing easy. 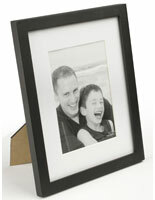 This black photo frame has a glass lens that protects snapshots from damage and dust. 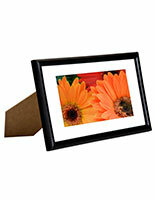 Each has a matte finish that complements pictures while also blending in with any décor. 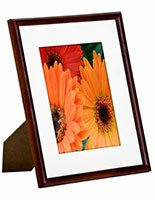 This black frame comes with both an easel stand and wall mounting hooks. 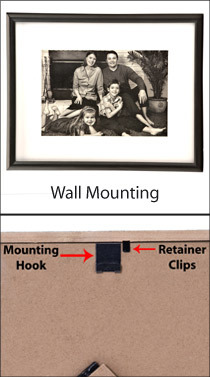 The holders can be displayed either horizontally or vertically when stood up or hung from surfaces. 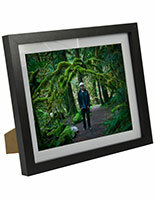 13.3" x 11.1" x 0.75"
I was in search for a good quality frame that would not fall apart upon shipping but also had to be lightweight in order to meet the USPS guidelines for reduced price shipping. 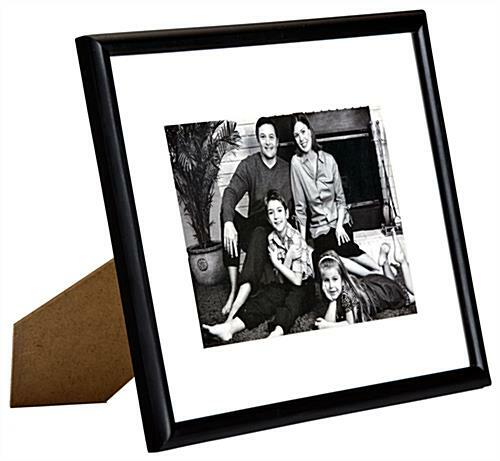 On the website it listed this item as 0.50, although that sounded perfect for my needs I confirmed by live chat 2 separate times and was told both times let me confirm and then they came back & said yes this frame weighs half of a pound or another words just 8 ounces! I actually confirmed both the half pound & the ounce weights to make sure there was no miscommunications. Perfect that is exactly what I was looking for! The picture frame although made in China is of good construction & did arrive without damage, However I would need to mail these out to clients and with them weighing 1 pound 6.5 ounces they would cause my shipping costs to double in price! I am glad I only ordered the minimum of 4 rather than the large bulk order i was wanting to place! 1.65 is the true weight of this item not 0.50.